Like a walk in a moonlit garden, this gentle floral fragrance blend bestows a wonderful feeling of serenity. 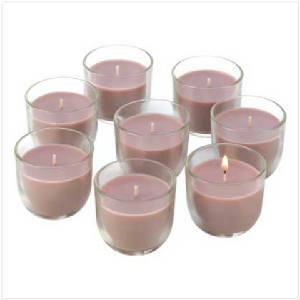 An elegant way to create an aura of peace and calm! Actual wax color may vary from the photo. Relax and rejuvenate at the end of the day, and bathe in the soothing scent of jungle orchids in bloom. 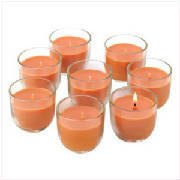 Long-burning votives fill the room with a sweetly sensuous perfume! Actual wax color may vary from the photo. The open-air scents of citrus and sage bring to mind a lazy stroll through a shady orchard, refreshing and relaxing all at once. Enjoy this fresh fragrance any time of the day! Actual wax color may vary from the photo.